Create your own text boxes, tick boxes, date pickers, and other fields on a variety of screens to store information for your business. Current RMS is used by businesses across the world in a variety of different industries, so we set up the essential fields. Every business is different, so you can set up custom fields to store additional data that’s important for your business. Custom fields let you add things like text boxes, tick boxes, drop-down lists, date pickers, and other fields to any screen in the system so you can store additional information. Custom fields can also be pulled through to your document layouts and discussion templates. First, create a custom field group. A custom field group is a sub-heading that a custom field sits under. 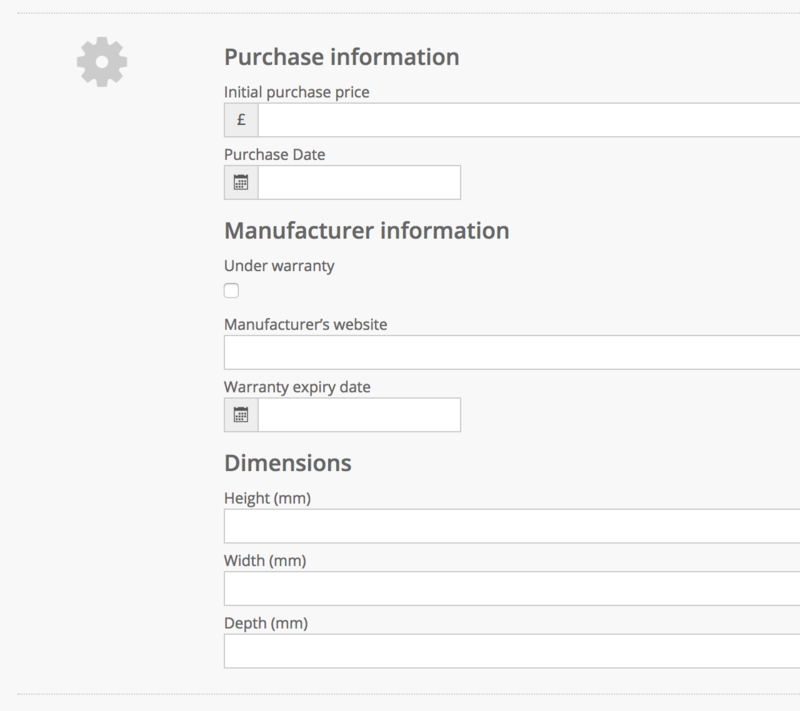 Then, create a custom field. This is your text box, date picker, drop-down box, tick box, or other field. 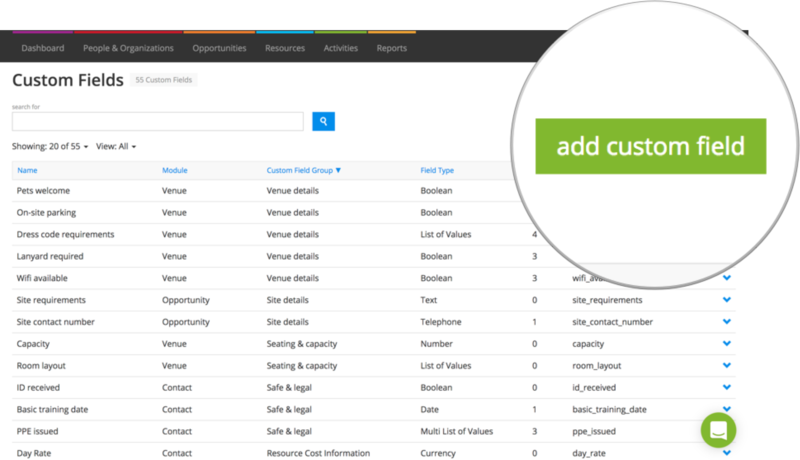 Go to System Setup > Custom field groups and click the add custom field group button. Enter the name for your custom field, then hit the blue Create button. Go to System Setup > Custom fields and click the green add custom field button. Type a name for your custom field, e.g. “Organization type”. Enter a description of the field for your reference. If you’re using document approval, the description is displayed instead of the name – handy for creating customer-friendly names for some of your internal fields, e.g. “Source Information” might be “Please let us know how you heard about us from the options below”. Where do you want to create this custom field? Choose from the list. If you’re working with multiple custom fields, set a number as an order to determine where it appears within the group. 0 is at the top of the list. What kind of field do you want to add? Choose from the list above. Refer to the section above for information. When choosing “List of values” and “Multi list of values”, a drop-down box appears so you can choose from a list of values. Some text that appears before the number. Where should your number start? E.g. type “100" here to count up from 100. Some text that appears after the number. Your auto-number will apply to any new records you create, toggle to YES to apply to existing records too. If you’re creating a custom field for a stock level, toggle “Show in index” to YES to display the custom field as a column in the Stock Level section against a product. For example, you can see “PAT Test Date” has been added below. When you’re done, hit the blue Create Custom Field button. Create or edit a record in the module you chose to see your custom field! It will towards the bottom of the page, with a cog icon next to it.